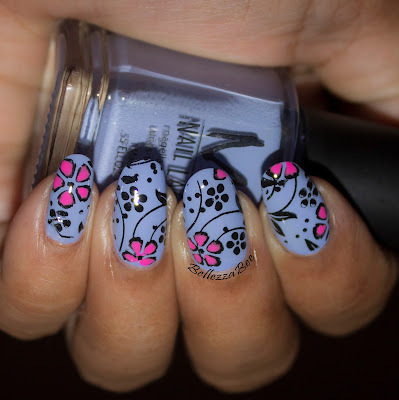 I am delving more and more into the world of stamped nail art since it is quicker than handpainted nail art for the modern day busy girl. My first attempts at stamping were quite horrible but with some practice I was able to get some pretty decent looks. Here is one of them.